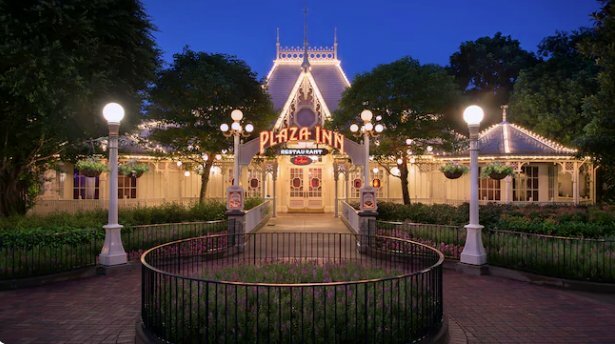 Walk into the Victorian Era inspired, Plaza Inn, famous for its Asian twist - a beautiful mix of the East and West. Choose between two packages: the Lunch Set or the Dinner Set depending on whatever time you want to dine. Savor the delectable dumplings, steamed vegetables, shrimp and crab meat, deep fried pork and many more! For lunch, enjoy a Mickey Chilled Pudding for dessert, and for dinner a deluxe dessert platter. The entire set meal is good for 2 or more - perfect to share with your traveling companions. Dine at one of the best restaurants while enjoying a day in Hong Kong Disneyland (tickets not included, book here), the happiest place on earth.